Barber. You hear that place’s name and can immediately identify anybody in the room that has been there. A grin grows into a smile as memories awakened are revealed on the faces of those who know what it means. You hear tales of a world class museum, Ducati events, and track days… stories about the beauty and majesty of the facility, the manicured grounds, and the seemingly perfect track. You might hear about unforgiving turns, track run-offs, or injuries. You might even hear about death. For people with a passion for motorcycles, there is no place as seductive as Barber. No better place exists for motorcyclists to improve the skills we need for the sport we love. I am a firm believer in rider training and commit myself to doing something on a regular basis to improve my riding skills. It might be reading an article, conducting a collision reconstruction, trying new techniques on the track or on a ride, or taking a class. 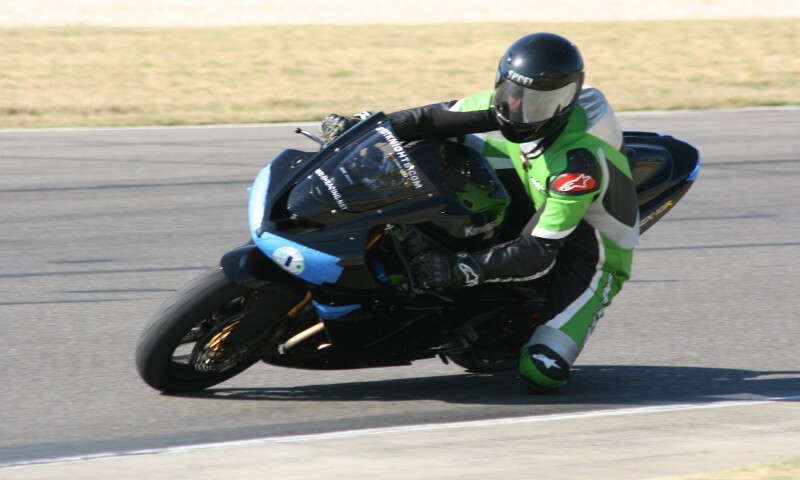 Last year, I had a chance to attend the California Superbike School (CSS) at Barber Motorsports Park just outside of Birmingham, Alabama. Even though I’d been to Barber before and trained at other schools, the experience and skill set I left with drastically improved my riding forever. After I found out that CSS had an opening for the two-day camp due to a cancellation, I decided to ride up to Barber on my BMW 1200 ST. Jeff Sefcik was kind enough to share his back road route, which allowed me to stay off the interstate and avoid all major cities. The ride up was scenic and twisty, and included some of the most beautiful countryside Florida, Georgia, and Alabama have to offer. Jeff advised that I should stay at the Creekside Lodge on Lake Martin on the way up, which was an excellent call, as it is a fantastic place with an awesome restaurant right next door. After 10 hours of riding with nothing but fuel stops, I was ready to eat and go to bed. Following Jeff’s directions the next morning, I took SR 49 up to Chehaw State Park, then shot over to the Hampton Inn right by Barber. It was hard to sleep that night, wondering how things would go at the track. All I did know was that I was excited, and I was going to have fun. I pulled up to the Barber entry gate on my bike early the next morning, got my wristband, and rode out to the track. When I arrived, I saw about 20 staff members in CSS shirts busily getting ready for the day. Breakfast was being served and registration was open. There were about twenty students milling about, looking for something to do other than dealing with their own nervous anticipation. A huge CSS semi trailer dominated the pit area, and I quickly realized that the trailer was pretty much the hub of activity, as it included the kitchen and riding gear for all riders. After registration, I was instructed by Trevor Pennington (Course Control) to get my track gear fitted and get ready to ride. The two-day camp is all inclusive, so my gear and the bike I would ride (a BMW S 1000 RR! ), was provided by CSS. I got my gear and then searched for a spot to leave the gear I rode in on, along with my wallet and ID. I figured the safest place would be in my panniers, as I could lock everything up nice and tight. Of course, that kind of left me needing a place to leave my keys, so I figured I’d leave the keys in one side, unlocked, while locking my valuables in the other side. Genius, right? My mind was preoccupied with so much anticipation for riding at the track; it didn’t dawn on me that you can remove a BMW pannier key with the case open and the locking mechanism turned to the locked position. I stuffed everything in, dropped the keys in, and shut the sidecase with a satisfying click. As I heard the sound, my eyes caught the position of the key receiver, and I said a not so mild oath or two to myself. What to do? The spare keys were over 600 miles away. I had no transportation, no phone (locked up), nothing but my rented leathers and a day that was already packed with what was supposed to be extreme fun and learning. Asking for help was going to be embarrassing – what kind of guy goes to the best riding school in the country and locks his keys in his motorcycle right before the track day starts? I seriously thought about discreetly asking for a screwdriver to pop the lock. I had visions of my classmates and instructors watching me break in to my own motorcycle, all the while wondering what kind of nut had shown up to ride. I also wondered what I was going to look like leaving the track with a busted sidecase door flopping around, contents flapping in the wind. Someone was going to be humming the tune to Beverly Hillbillies as I drove off, for sure. Now my mind was really racing. Luckily, before I could do any more damage, a bell rung while a shrill voice cried out for all of the students to go upstairs for orientation. Admit it or not, humans, and especially the type that like to push their adrenaline buttons, can’t help but size up people they don’t know who are in their immediate vicinity. The guy I found myself sitting next to was wearing custom leathers, which my sizing up computer interprets as being faster than me. He said something in my direction right after I sat down, but my mind was still working on pannier origami, trying to find a way to open the case that was discreet and non-destructive or at least post-extraction repairable. I politely nodded my agreement to whatever it was he said, with a faint smile. As I responded, my eye caught a tattoo on the guy’s arm – a large “D” with a red circle around it that formed a broad red arrow from the top to the bottom on the leading edge of the letter. Are you kidding me? This guy’s got a Dunlop tattoo?? Waaay faster than me. Great. Not only was I the Mensan that locked his only key up, I was going to get lapped all day too. The Code school starts with an introduction of the CSS team: instructors, administration personnel, safety, and mechanics. Will Eikenberry, the CSS chief mechanic, introduced himself and stated that he would be solving any problems we had with the bikes, and he offered to help us out with any issues we had with our bikes as well. As you can imagine, a light went off. I just needed to find a way to discreetly talk to this guy. Feeling a little better, I started preparing myself to ride. After introductions, we were broken into four groups of six to ten riders, and designated either group 1, 2, 3, or 4. I was in group 3, consisting of about eight other riders. We were all first timers at the Code school and hailed from all over the US, except for a guy that had ridden his K bike from Canada. God bless him, he was going to ride across to Texas, then up through the Midwest and through Nebraska after the school. I have to say I’m a big fan of the CSS teaching style and organization. I’ve been to several other track schools, and CSS wins hands down on teaching technique, format and implementation of newly learned riding skills. Dylan Code, Keith’s son, led our first class. He told us that we didn’t have to believe anything he said; all he wanted us to do was to give the tools we learned in class a try on the track. He started out asking us to list all of the controls on a bike that we would use on the track – there are six – all of them control speed, except for one. The most important one for controlling speed? The throttle. First lesson? Throttle control. From there, we transitioned to the track. There are two riders per coach, and my coach for the first day was Josh Galster. The rules for the first session were simple: 4th gear, no brakes all session. That may sound crazy, but trust me, they know what they are doing. Riding on a new track in 4th, using the throttle only to control braking, teaches you the track and forces you to keep your speed under control. After a brief personal review of the drill and appropriate hand signals for course control, I entered the track and smiled. This was going to be a great day. Each subsequent lesson builds on the last. Once your session is over, you have a face to face meeting with your personal coach to discuss what you did well and what you need to work on. I was amazed at Josh’s enthusiasm – he was as giddy about my improvement as I was! It is always a pleasure working with people that truly love what they are doing; it is infectious. As our drills and lessons built on each other, we were able to use more and more of the S 1000. Not only were we getting smoother and faster, we were able to use more gears and eventually the brakes. By the last two sessions, we were all very familiar with the track and comfortable with the bike. Nevertheless, the other guy that Josh (my coach) was assigned to crashed – a low side that turned into a wicked high side in Charlotte’s Web (a slow left-handed 180 degree turn). Fortunately, he only had a few holes in his leathers. After the crash, I learned two important things: 1) there is a cap on what CSS requires you to pay if you crash their bike; and 2) once you pay it, assuming you are physically okay and are checked out by Course Control, they will let you finish the day. In talking to the guy later, he admitted that he didn’t have much track experience and smiled when he said that he had gotten too deep in the throttle in that corner, accelerating to try to keep up with me. Day one was all about the basic operation (the how) supported by analysis and theory (the why) of motorcycle operation. Even though I’ve been riding since I was six, I learned so much at the school about why motorcycles behave the way they do. Since the theory is taught in a question and answer format, leading the students to make the proper conclusions while they think about riding, the learning is effortless and really promotes an interest in the subject matter. The teaching style, just like everything else at CSS, is so well thought out that you don’t even realize how much you are picking up and retaining. Day two was all about vision and exploration. Learning to see what you need to see, when you need to see it. Learning what it’s like to be in unusual places on a track, exploring different lines, all while continuing to work on all of the drills from the day before. I had Laura Orozco as my coach on day two, who again was truly excited to see her students learn. In all of my interactions with the staff at CSS, there never was any ego, competition or attitude, just honest love for teaching and our sport. The staff treated all of us like family, showing genuine care in every interaction all day, all weekend. These days, that kind of passion is kind of rare. Remember that guy I mentioned earlier wearing custom leathers and sporting a full color Dunlop tattoo on his forearm? Turns out that it was none other than Rich Conicelli, Dunlop’s factory test rider. Dunlop was also represented by Sean Bell, who is the engineer that designed the new Q3. Sean and Rich were at Barber testing out the Q3 and were happy to talk to us about the new tire’s development and improvements. I have to say that from looking at the wear on the Q3 after two days on the track, I was really impressed. The Q2s we were riding on looked beat up; the Q3 looked great, and I know Rich was abusing it. So what became of my little problem? After my first session, I walked over to Will, the chief mechanic, and told him I had a, uh, little issue. When I explained that I had locked my keys in the pannier, his response was that he didn’t know that anyone could do that. We both laughed, and he told me to bring the bike over. If you ever lock your BMW key in your BMW pannier, make sure you do it at a school that uses BMW motorcycles. Will had two huge key rings of BMW keys off his stable of CSS S 1000s, and it only took about two minutes of trying keys to find a match. It turns out that Will is a huge fan of the ST. I handed him my newly liberated keys, and he took her for a ride up and around the beautiful grounds of Barber. 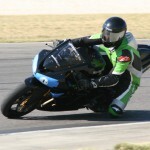 Keith Code’s California Superbike School is the best riding/track school I have ever attended. If you are considering this type of training, feel free to contact me with any questions you might have. I am happy to share my experiences and encouragement, as I know attending this school will make you a better, and safer, rider. Ron Croft is an attorney who limits his practice to representing the seriously injured through trial if necessary. He practices law throughout Florida.